The cohesive force that occurs at the surface of a liquid, due to the attractive forces between molecules. The cohesive force that occurs at the surface of a liquid, due to the attractive forces between molecules. This can make the surface behave like a thin, elastic skin, which can support small objects. It's surface tension that allows small insects to walk on water. 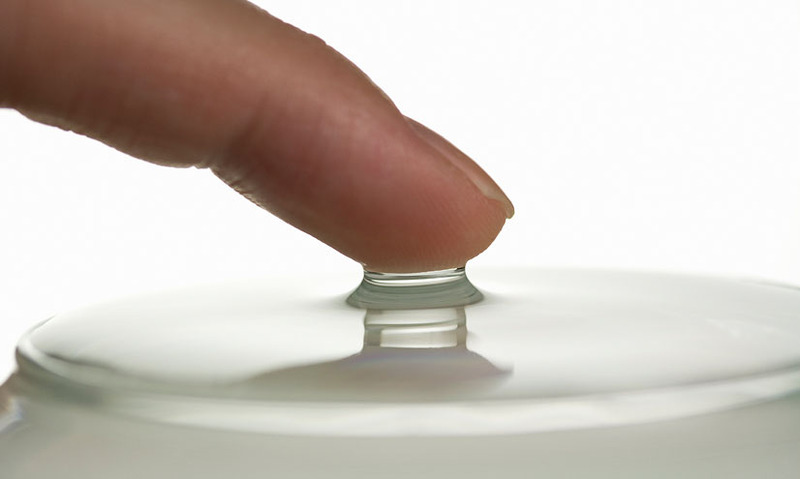 This can make the surface behave like a thin, elastic skin, which can support small objects. It's surface tension that allows small insects to walk on water.